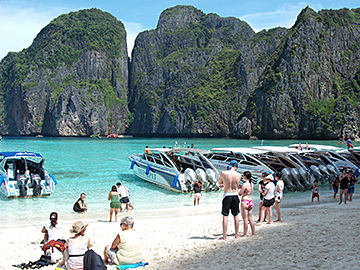 This Phi Phi Island tour by speedboat will give you a chance to see many different islands in one single Phi Phi Island tour. 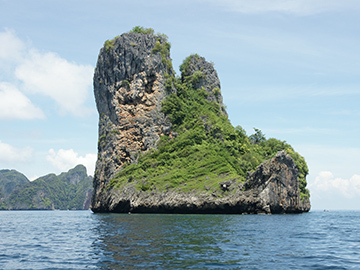 There is no other Phi Phi Island tour that visits more islands than this classical "Phi Phi 6 Islands Tour". 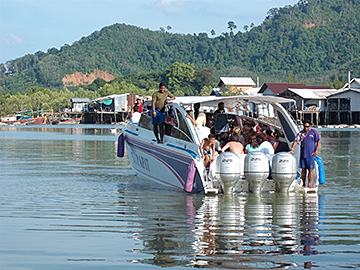 07:45-08:00 Pick-up from your hotel and transfer to Port Island Hopper. 08:00-09:00 Arrive at Port for breakfast (coffee, tea and pineapple biscuits). 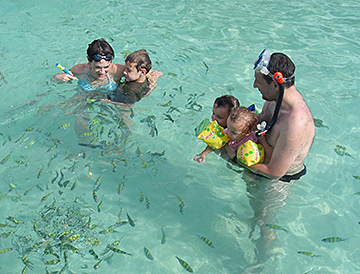 09:00-10:00 Khai Nui Island where are very exciting such as the clear sea water with tropical fishes and Enjoy snorkeling . 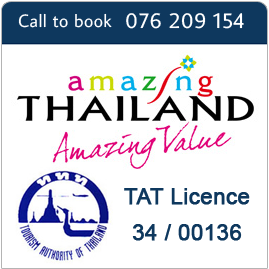 11:30-12:45 Enjoy ´Thai Food Buffet Lunch´ at a Private restaurant. 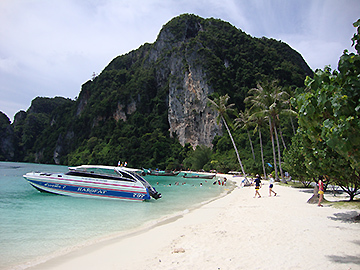 13:30-14:30 Bamboo Island (Mos, where is the best for the Greatest Snorkeling ,Swimming and Relaxing. 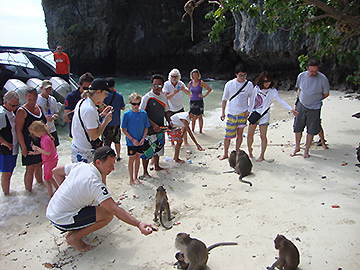 14:30-15:30 Explore to Phi Phi Don, Sightseeing at Ton Sai Bay / Monkey Beach for take Photos. 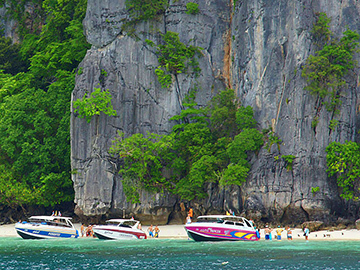 15:30-17:00 • Arrive at Phi Phi Leh Island and Viking Cave, Pileh Cove and Loh Samah Bay. 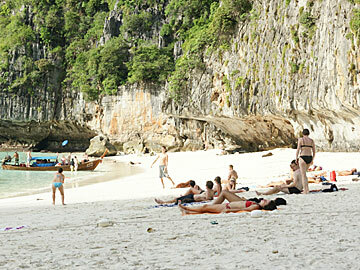 • Visit Maya Bay for relaxing and snorkeling on the famous beach from the movie "The Beach". 18:00-19:00 Arrive at your hotel.